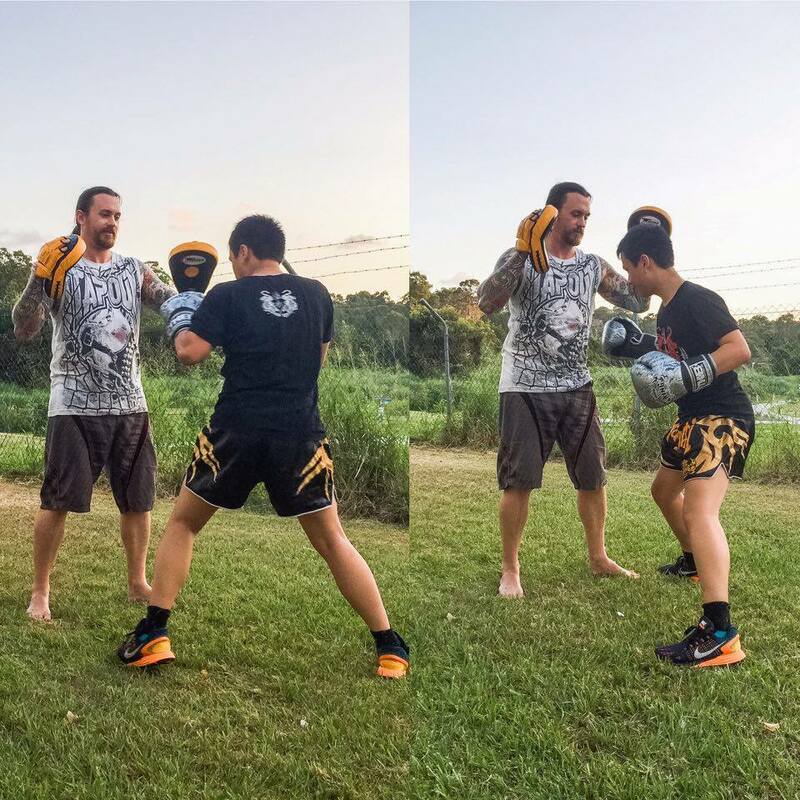 Brisbane Fitness Empire is owned by Crystal Gibson who is both a qualified personal trainer as well as an undefeated Muay Thai Kick Boxer & Tournament Fighter. 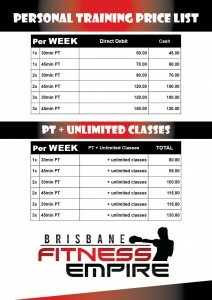 For PERSONAL TRAINING & CLASS PACKAGES, please see below. 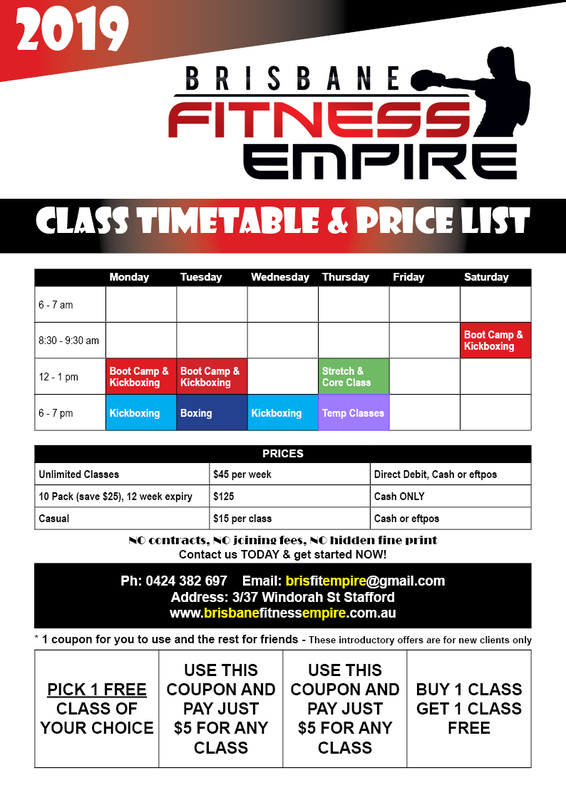 * 10 pack class sessions have an expiry of 12 weeks from first session used. 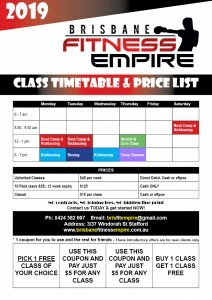 * 10 pack class sessions that don’t get started have a 6 month expiry from date of purchase. 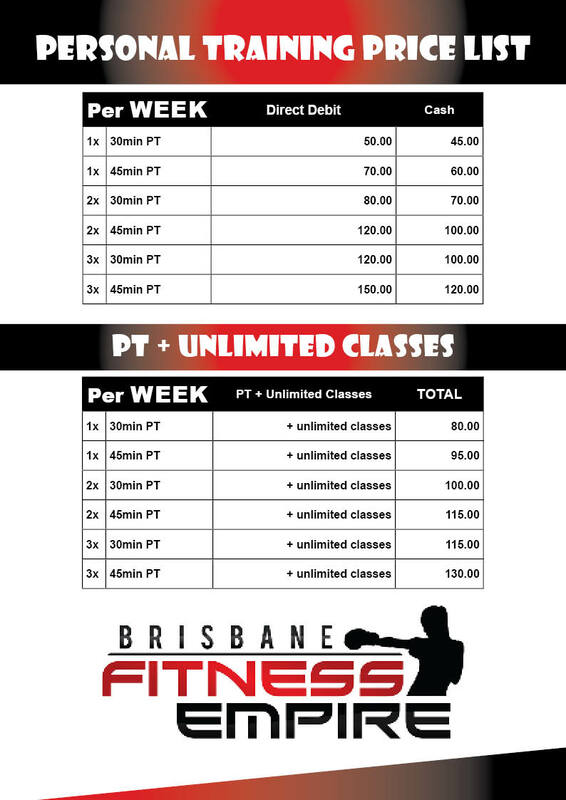 * Bulk purchased Personal Training sessions that are not used will be forfeited & have a 6 month expiry from date of purchase. 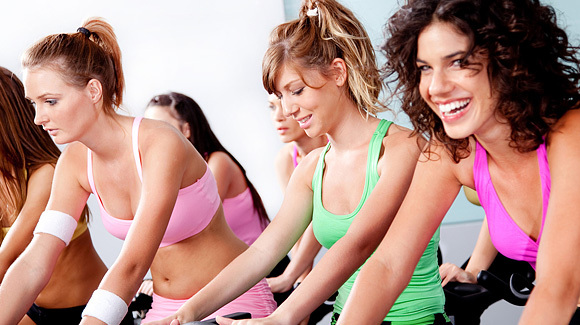 Contact us TODAY & get started NOW! 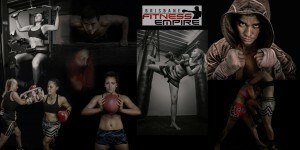 We train hard at Brisbane Fitness Empire & cater for everyone!